There’s a program we’d like to share with you and celebrate, Proud Pets. 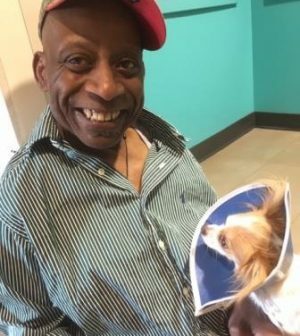 It’s a collaborative effort between Hearts United for Animals, one of our favorite rescues, and a local Girl Scouts troop that helps to find vet care for pets of previously homeless veterans, so it’s hard not to love what’s happening. The Proud Pets Program was founded last fall. An Omaha Girl Scouts troop leaders (a prior Hearts United adopter) contacted the rescue in an effort to find help with veterinary care for the previously homeless veterans’ animals living in the Victory Apartments. “We contacted Dr. Jensen of Mobile Animal Clinic who happily agreed to offer his services,” said a Hearts United spokeswoman. Dr. Jensen travels to the Victory Apartments in Omaha every three months and, just last month, went to the complex in Lincoln. The Girl Scouts and Hearts United for Animals’ caregivers provide transportation for the veterans to Mobile for additional care like dentals, spay/neuter, surgeries, and more. “Our supporters have really been enthusiastic and generous,” Hearts United told Pets in Omaha. 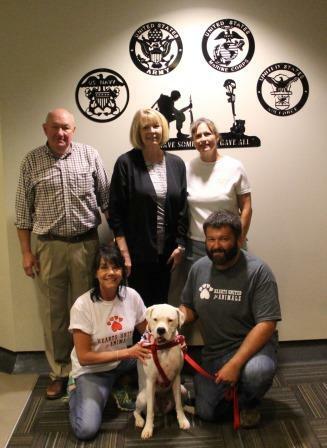 What a great bit of teamwork to help the pets that help our veterans. Recently, Omaha’s KETV did a piece on the program, which you can see here. If you’d like to donate to Hearts United for Animals so it can continue doing things like this (and helping displaced animals all year long), click here. Typically, Hearts United cares for 300 dogs and a couple dozen cats at a time, so help is needed constantly. The rescue is often part of large efforts to end puppy mills through advocacy and recovery of animals who have spent their lives breeding in the puppy mill industry. 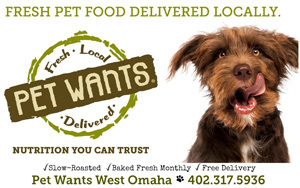 Also, be sure to check out all the articles we’ve written on and with Hearts United on Pets in Omaha’s Support Hearts United for Animals page! They’ll often be featured in our Advocacy/Puppy Mills section as well. Thanks to Hearts United and Girl Scouts for this collective effort. We’re all admiring you for your kindness and service.